If the first-day reactions of ‘Teefa In Trouble’ are anything to go by, the movie is set to become the first movie out of Pakistan to have conquered cinema on a global stage. The news reports of the box office explosion are across the internet where the opening weekend has completely sold out in Pakistan, the UK, Duba, and Qatar with expectations for more sold out signs across other countries. 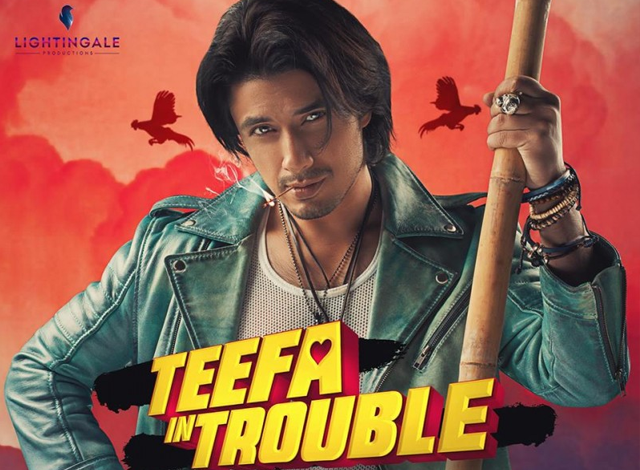 The first Pakistani film to be distributed by Yash Raj Films, ‘Teefa In Trouble’ is being heralded as a landmark movie for the revival of cinema in Pakistan. It’s scale, budget, cast, cinematography and direction is unparalleled leaving audiences worldwide spellbound. The film also marks the return of original ‘hero’ concept to screen in the form of Ali Zafar who plays Teefa; something which has been sorely missing in local cinema in its current revival. A seasoned actor in Bollywood, this is Ali’s first film in Pakistan and he truly did leave his best for last. Having acted in, done for the music for, co written the screenplay and produced the film through his company Lightingale Productions, Zafar’s Teefa puts him at the very top of Pakistan’s silver screen hero’s. Maya Ali too is a breath of fresh air and superbly cast for this role. One of the only actors today who has truly proved her mettle and ability to translate her power from the drama serial to the big screen. Director Ahsan Rahim must also be lauded and celebrated for the film’s success. It is rare that a director is able to balance art and commerce so skilfully and with such respect for both; out of all of his peers whose movies have come before him, this achievement is his alone. Go watch Teefa In Trouble. Not because you should support the revival of cinema in Pakistan, but because this is the film we have all been desperately wanting to come out of Pakistan; it is a sensation.